Many people find it fun and rewarding to go foraging for wild mushrooms, as it gives them a chance to get out in nature and find fresh, tasty produce. The downside is you’ll need to know what type of fungi you are picking to avoid consuming poisonous ones. This can take a little work, because many species will look similar. You’ll also need to take the time to learn where safe varieties can be found so you don’t spend a long time hunting. If you want a better way to enjoy fresh produce, you can try your hand at growing mushrooms at home, either inside or in the garden. With the use of grow kits you only need to choose the right growth medium and put the spores in the right conditions. With a little watering you’ll see growth pretty quickly when you get the conditions right. These kits can give you a good supply of tasty mushrooms in no time. Oyster mushrooms are amongst the most fun to grow in your home. They are usually found growing on trees in shelves and feed off the lignin and cellulose of wood. This gives you a great opportunity to grow them in books because the paper is made from the same material. Simply ensure the book is in reasonable condition, not too old, and free from glossy prints like large illustrations. Then all you need to do is drill holes in the top of the book, put the spores in and place it in the right conditions with a little water. With just a little work you could have produce in as little as two weeks. 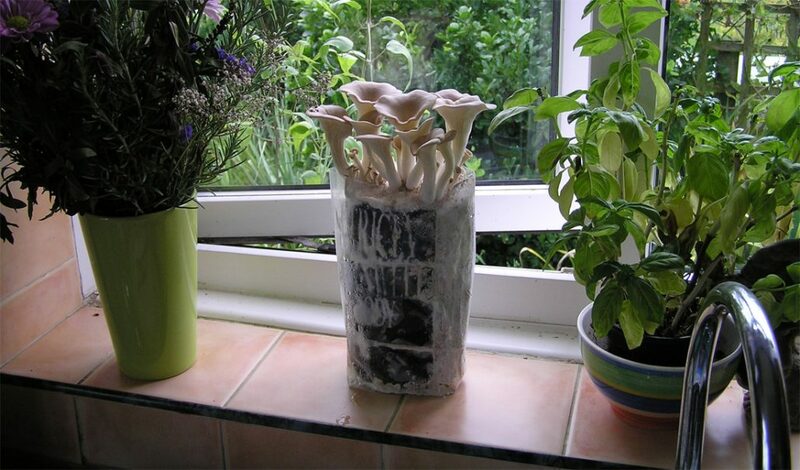 We can provide you with a range of great mushroom growing kits. We have specially selected the best on the market so our customers have the best chance of success. The grow kit for oyster mushrooms features everything you need except the book itself, so you can get started as quickly as you want. The instruction sheet should make it easy to find out what you need to do and start growing. After you’ve harvested your produce you can also put the book in the garden to continue getting new growths for the next few months.